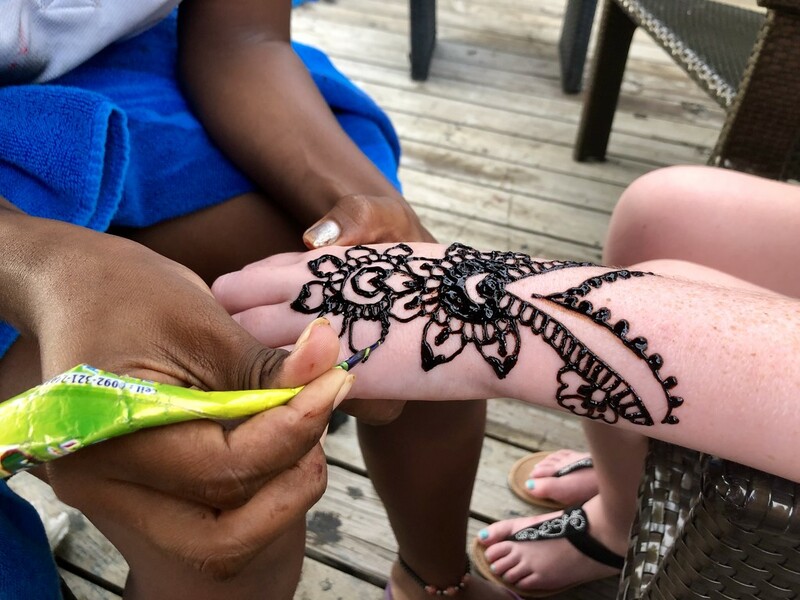 The day before we flew home the girls each had a henna applied to their hands. The designs looked wonderful when they were completed. Nice work ! My daughters love to do that ! @onewing - it took the girl nearly an hour to do Sophie's as her hand is larger and she had a more detailed design. They must have enjoyed that- looks so ornate. It's quite an art. Good shot.